Reveal your inner glow with Nature’s Pearl® Muscadine 20™ Rejuvenating Skin Polish. 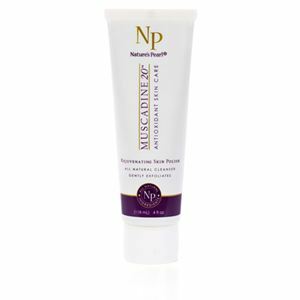 Nature’s Pearl® Muscadine 20 Antioxidant Skin and Personal Care products are made from over 100 naturally occurring phenol compounds that provide you with unparalleled proprietary cosmeceutical skin and body products.† They’re made with certified organic and wildcrafted ingredients that are perfect for all skin types. Rejuvenating Skin Polish is Certified ToxicFree®. No synthetic fragrance. Ingredients: [Aqua (Water), Calendula officinalis (Calendula Co2)*], Decyl Glucoside (Raw Sugar Cleanser), Sodium Cocoyl Glutamate, Cocoa Butter Amphoacetate*, Babassuamidopropyl Betaine *, Microcrystalline Cellulose & Algin (Plant Fiber & Algae), Sucrose Cocoate*, Pelloid Silt & Silica (Glacier Minerals), Nigella sativa (Nigella) Oil*, Tetrahexyldecyl Ascorbate (Vitamin C), Panthenol (Vitamin B5), Mixed Tocopherols (Vitamin E from Jojoba Oil), Xanthan Gum*, Glucose & Lactoperoxidase & Glucose Oxidase, Citrus sinensis (Sweet Orange) Essential Oil*, Pelargonium graveolens (Rose geranium) Essential Oil*, Mixed Berry Fruit Essences*, Citrus bergamia (Bergamot) Essential Oil*. 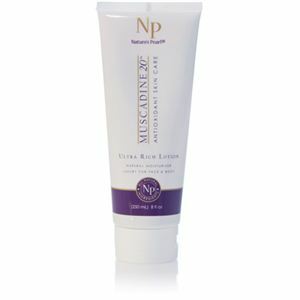 Infused with the botanical extract of Vitis rotundifolia (Muscadine grape seed).